I passed first time when I was 35 week pregnant with only 4 minors! I felt more and more clumsy and with slower reactions as I approached the end of my pregnancy! But Neill's confidence in me definitely helped, big time. It only took 14 hours of lessons in 3 weeks with him to meet the required high standard of driving skill (I was driving before but 13 years ago and in a different country). 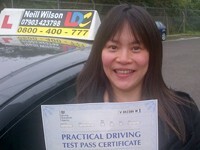 Thanks so much to Neill as I am now confident on the road, especially doing complex roundabouts, dual carriageways, etc. 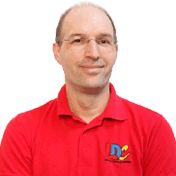 His high professional skills and efficient way of teaching using the LDC workbook mean you get the best out of him in the shortest time possible. Most importantly he teaches you for your own road safety not just to pass the test! !